Scrambling to Prep for Super Bowl Sunday? It feels like we just gathered together to celebrate the New Year, yet January Soup Month ends today. While I’m trying to come to terms with how quickly the month has passed, most Americans have moved on to the next big thing… Super Bowl XLIX! Scrambling like a quarterback about to get sacked, I sat down at my laptop this morning to come up with a game plan to help feed a crowd tomorrow! Fortunately, I didn’t have to search very long or hard to find recipes for Game Day Grub like dripping roast beef sandwiches or ideas to serve up a little Super Bowl-themed fun. Soup sounds like an ideal meal tomorrow for two reasons: (1) I can fix it ahead of time and forget about it until we’re ready to eat; and (2) there’s an 80% chance of snow. 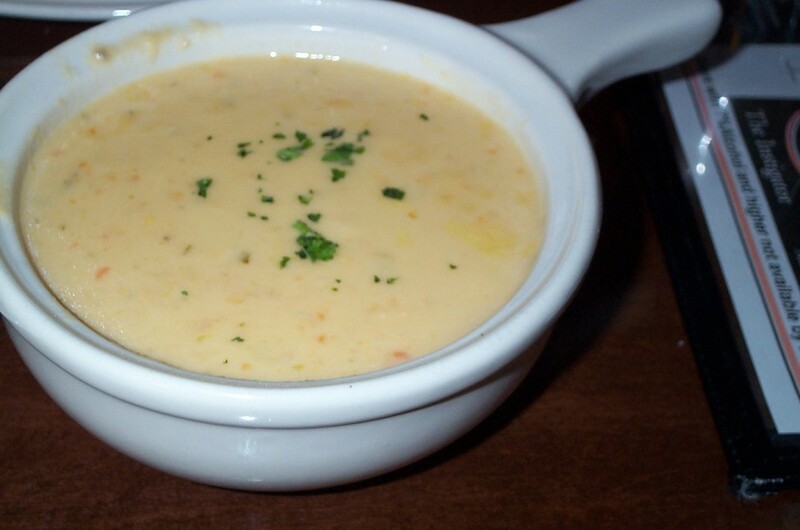 We may just need to warm up with Beer Cheese Soup!